Electrical and Electronics engineering one of the conventional branches in engineering diploma course started in this institution on July 2010. This branch mainly deals with the generation transmission and effective utilization of electricity, the design and operation of various electrical machines their performance analysis control techniques etc. 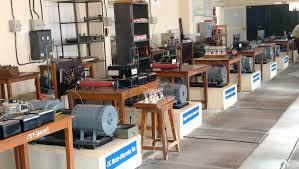 Design and estimation of LV,HV and EHV electrical installation is another area of the course.